Our urban existence is heavily dependent on the omnipresent technology. Its transformational dynamics invariably bring us at the altar of disruption, mostly for a superior experience. Widespread effects of the same can be witnessed in the way businesses work, with significant impact on marketing. Considered to be a critical component, the ever-evolving marketing strategies are what keeps companies afloat and in most cases ahead of their competition. Survival of the fittest elicits adapting to change fast and smartly. Time to tie knots with Smartphones: The all-pervasive smartphones have become an important tool in businesses as well. There is a faction, although small, that shop all the essentials via their smart phones. As per a study conducted by Smart Insights, there are about 52% mobile digital media users as compared to approximately 41% desktop users. Quoting the figures, it clearly implies the potential that smartphones hold as a marketing tool. Most importantly, it breaks the geographical barriers and gives you access to wider audience. With smartphones, you are no more restricted to your locality, city or state. You are dealing with everyone who has a smartphone and is on the internet, seeing or reading about you. Keeping mobile websites and company apps up-to-date for an enhanced communication with your audience is highly recommended. Given the wider platform that smartphones offer, making an interesting move to grasp the centre-stage seems way ahead. Crisp content goes a long way: In these busy times, people hardly have minutes to scroll through lengthy, detailed information. It is estimated that on an average a person spends 10 seconds on a piece before scrolling over his/her media page which implies that the probability of your content being read isn’t high in case it’s not interesting or crisp enough. Therefore, brands should focus on building the content that is easy to consume in this fast-moving lifestyle of the 21st century. Keep it short, crisp, to-the-point, and without any miss. Interactive content needed: Today the term “content” is not restricted to the written words but has expanded and with technology involvement it will expand further. 2017 will witness many firms evaluating “the perfect content” to engage with their consumers. What is perfect content? The perfect type of content is the one which interacts with the audience instead of simply educating them. Brands need to curate content that is interactive enough to draw people towards them. And hence, 2017 will see brands experimenting with video content and infographics as visuals always play better than the words and are always more engaging. Digital experts claim of a higher rate of conversion with an interactive content. Brands will consciously package content that is connective rather than selling. It will underline the emotions with that product before putting it as an object for the selling. Invest in SEO tools: Search Engine Optimisation (SEO) or a fate decider of your business! It is imperative to have a SEO optimised web infrastructure as a search-engine friendly website plays a very crucial role in improving your algorithms. With a higher penetration of internet, today’s consumers prefer studying before they go outside to buy something or avail service and if you’re not visible online, you are already out of the league. This year the key marketing step will be to have a stronger online visibility to have a good business. Employees are your most important TG: From 2014 till 2016 many studies and expert opinions surfaced highlighting that employee attrition rate is treading an upward graph. For long marketing campaigns are focused on building and maintaining relations with external audience but keeping in mind the growing importance of employee retention in today’s era, it is imperative to keep their morale high with internal marketing campaigns. Here we see a nascent trend of amalgamation of marketing and HR initiatives. By incorporating “employee retention” program in businesses’ marketing strategy can reap better results. The clear logic behind this is brand image. Any brand that is portrayed to be good with its employees is the most sought after one by the customers as well. Affiliating the HR initiatives with marketing will build an emotional bridge between your brand and the customers and will do wonders to your business. Dynamism is the most important rule to ensure continual business growth. Being static and not adopting changes often leaves you behind in the race. As we mentioned, the foundation to technological and digital developments has already been laid. 2017 is about experimenting and exploring new modes and joining hands with technology to have an unprecedented success. 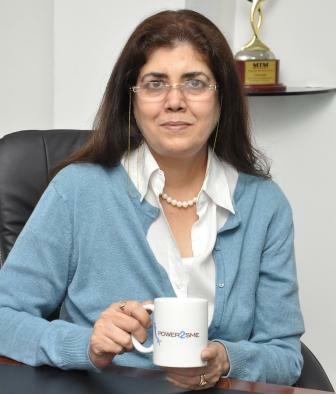 Ms. Sudha Sarin is the VP - Marketing and Communications at Power2SME. Under Sudha’s guidance the organisation has developed dynamic digital as well as social platforms that help Power2SME connect with relevant stakeholders, and generate leads. She has also designed robust external and corporate communication working models to position the brand as market leader. 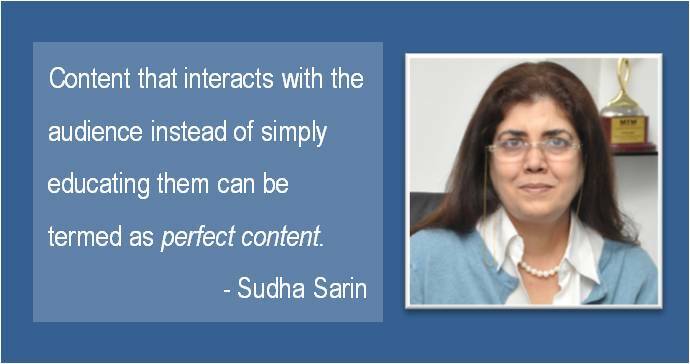 A seasoned communications professional, Sudha has over 20 years of experience in Marketing, Public Relations, Advertising and Business Information. Is content the real king in Public Relations? Be the first to comment on "Marketing trends that SMEs and Startups should watch out for in 2017"